You know the feeling. After a hard day at work. Particularly if you’re working a weekend. You wake up, can’t be arsed with the commute never mind work itself, but you drag yourself in with last night’s overindulgence of Carling still banging in your head as the alcohol sweats out of your pores. At 11:30 last night you were saying to yourself a dangerous: ‘I’ll be fine in the morning, another pint please barkeep’. The thought of beer in the morning is knocking you sick but eight hours of slaving away later you’re ready to go again. You’re saying, ‘I’ll be fine in the morning’ again, forgetting the nausea that hit you when your incessant alarm clock rang out in the morning. A hard day at work can do that to you. After all ‘work is the curse of the drinking classes’. I’m not a big fan of the royals. I don’t hate them, I just think they’re a pointless and glorified tourist attraction. 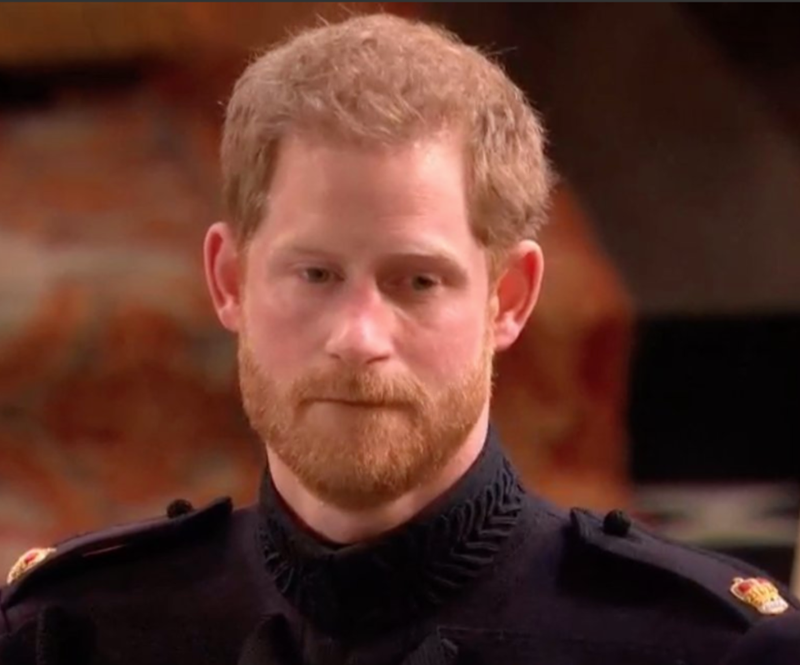 However that said it’s not hard to imagine that Harry was gagging for a pint after his big day in the sun. And he was. Admittedly so, telling Meghan Markle as they rode out of Windsor in a horse-drawn carriage, reports the Mirror. I’m ready for a drink now. But what else was said during the course of that incredibly lavish and expensive day. Well settle down and there’s a lot to take in. Then two minutes later Harry said to the minister: ‘I’m alright’. He then said to William: ‘Is she here?’ to which William replied: ‘No, not yet. I don’t know actually’. When finally joined by his bride-to-be, Harry told her: ‘Are you okay? You look amazing’. The ‘I’m absolutely sh*tting it’ bit hasn’t yet been confirmed. 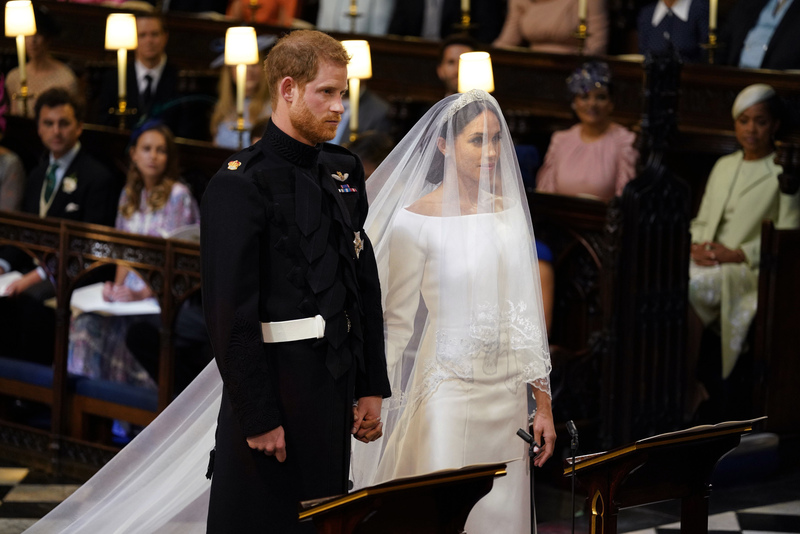 After praising Meghan for her looks, she responded saying ‘thank you’. She then said something to Harry, he responded ‘absolutely’. He then added: ‘I’ve missed you’. But the words shared that most people seem desperate to know are what they said just prior to kissing. Well here it is. 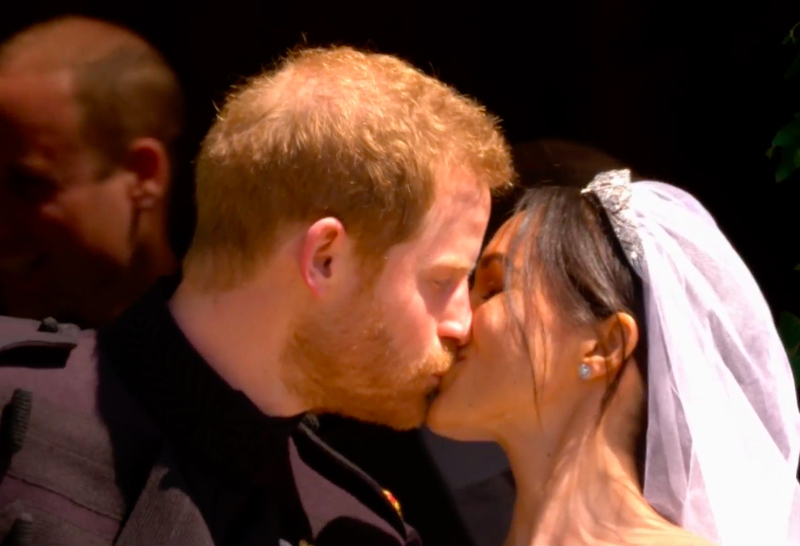 On the steps outside, Meghan turned to Harry and said: ‘Do we kiss now’. Harry replied ‘yeah’ before diving straight in there for a snog.